Read what others are saying about the book on the Litfuse website! Say "HI!" to Rachel and learn more about her books on her website! Herringford and Watts are taking 1900s Toronto by storm, and its men are falling at their feet - well, two of them anyway! Ray DeLuca and Jasper Forth have no choice but to follow the lady detectives through the city's grittiest slum to the beautiful new garden theater as they try to nab the killer who's terrorizing working class women. Jem and Merinda prove adept at solving crimes for their many new (unpaid) clients, but the main suspect in their biggest case is proving to be elusive and dangerous. Will they catch him before any more of Toronto's citizens pays the ultimate price? How do I put this in easily interpreted, succinct terms? Okay. Here goes. This book is the best. The characters, themes, plot, setting, all are so unique to the genre (Christian fiction) and so absolutely refreshing. 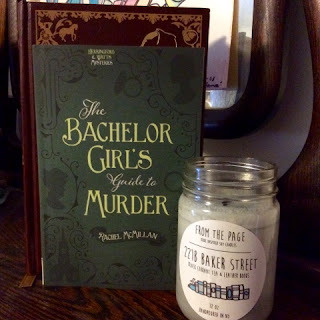 In a world of Pride and Prejudice inspired tales, which are great by the way, it was so fun to read a story influenced by Sir Arthur Conan Doyle's famous detective serials. 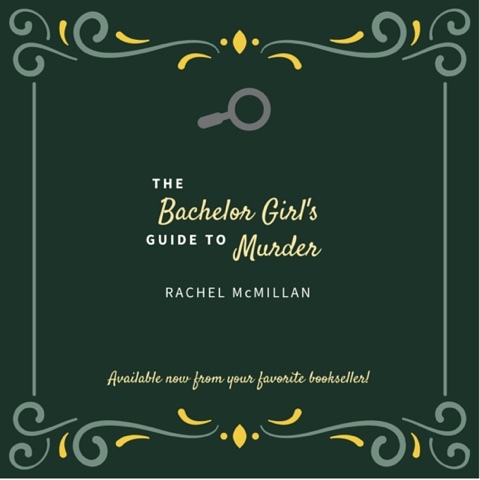 Even if you aren't into the Christian genre, but happen to be of a "Sherlocked" state of mind and enjoy a little intrigue and a dash of romance every now and then, I think you just might get a kick out of this little paperback from Rachel McMillan. As you might have deduced from reading the blurb, this isn't strictly a mystery, but a story of strong-willed women striving for some bit of control in a man's world. Even though it's set at the beginning of the 20th century, it still has a thoroughly modern vibe that works. 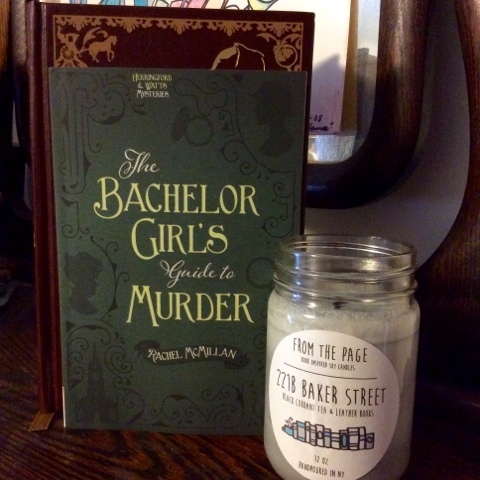 Issues like pay for women (who will pay a wage to a female sleuth?! ), equality, and freedom from strictly male rule are thrown in the midst of Jem and Merinda's adventures. 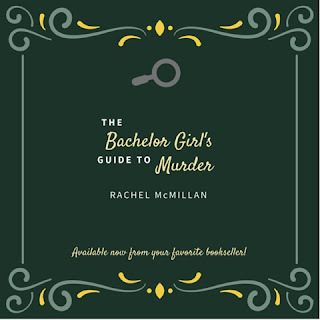 Ms. McMillan's clever and romantic prose shines, making The Bachelor Girl's Guide to Murder one of the finest stories I've read in a very long while. I am excited to see how Toronto evolves in the next book with the determined lady detectives fighting for its citizens! RSVP for the Facebook Party and enter to win a mystery prize pack! This does sound like a super fun book. Terrific review, Renee! Thanks for hosting this great giveaway. Soooo fun! It's been added to the keeper shelf! This sounds like a fun, refreshing read. The setting, time, themes are all different from what I've read recently. Thank you for an excellent review and yay on a great giveaway! Thanks for reading my review. This was a nice story and a fun change from other books in the genre.